Playfulness, spare elegance, and wit epitomize the poetry of Billy Collins. With his distinct voice and accessible language, America's two-term Poet Laureate has opened the door to poetry for countless people for whom it might otherwise remain closed. 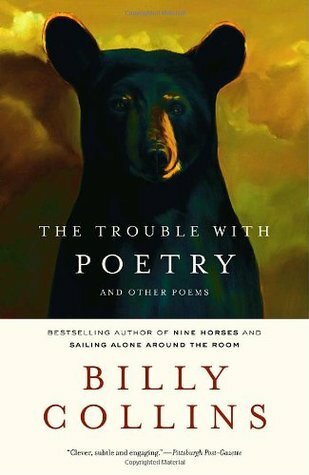 Like the present book's title, Collins's poems are filled with mischief, humor, and irony, "Poetry speaks to all people, it Playfulness, spare elegance, and wit epitomize the poetry of Billy Collins. With his distinct voice and accessible language, America's two-term Poet Laureate has opened the door to poetry for countless people for whom it might otherwise remain closed. Like the present book's title, Collins's poems are filled with mischief, humor, and irony, "Poetry speaks to all people, it is said, but here I would like to address / only those in my own time zone"-but also with quiet observation, intense wonder, and a reverence for the everyday: "The birds are in their trees, / the toast is in the toaster, / and the poets are at their windows. / They are at their windows in every section of the tangerine of earth-the Chinese poets looking up at the moon, / the American poets gazing out / at the pink and blue ribbons of sunrise." Through simple language, Collins shows that good poetry doesn't have to be obscure or incomprehensible, qualities that are perhaps the real trouble with most "serious" poetry: "By now, it should go without saying / that what the oven is to the baker / and the berry-stained blouse to the drycleaner / so the window is to the poet." In this dazzling new collection, his first in three years, Collins explores boyhood, jazz, love, the passage of time, and, of course, writing-themes familiar to Collins's fans but made new here. Gorgeous, funny, and deeply empathetic, Billy Collins's poetry is a window through which we see our lives as if for the first time.